The following work is a summary of a recent parish fellowship discussion. The theme as the title suggests was a discussion that explored some of the key themes of the work and life of St Gregory Palamas. This is not an exhaustive study but an outline of what was examined, and a basic appraisal for Orthodox Christian spiritual practice. In the 1300s, as history attests to, there was immense controversy over whether people can come to know God. The trigger for this debate was inspired by the Athonite practice of “Hesychia” (roughly translated as internal silence), which involved the use of the ascetical life to cultivate and perfect a meditative prayer that sought to purge a monk of any distractions, and devote all efforts towards being receptive to God. The method of prayer centred around the recital of the “Jesus prayer”, while the monk who sought to instill within themselves, internal stillness and silence devoid of any distractions, remained stationary on a very low stool, crouching forwards with one leg outstretched to stabilise themselves, and the other tucked under the stool to stabilise the stool. In leaning forwards, they would have the left hand (symbolising the hand which is closely connected with the heart) opened and placed on the forehead (as a symbol representing the mind); while the right hand held in the form of invoking the cross (three fingers clasped together and the last two pointed down against the palm) pressed against the chest where it is closest to the heart, in order to express the unity of the most crucial elements of a person’s being, the heart and mind. The monks would spend hours in isolation crouched over in this uncomfortable position reciting continuously the Jesus prayer, in the hope of attaining knowledge of God through either vision (theoria) or experience (peira). Many monastic practitioners of this particular prayer devotion were illiterate but charismatic figures. Nonetheless, some very clever and intellectual Calabrian monastics, who had been influenced by exposure to Thomas Aquinas’ application of Aristotelian thought on knowledge (gnosis) of God within a Christian context, objected to this practice of “Hesychasm”. Prominent amongst them, was a certain Barlaam, who was joined by Gregory Akindynos, in denouncing the claims of Athonite monks who had asserted that they had attained “knowledge” (gnosis) of God. These well educated protestors, correctly drew upon Scripture by citing that no one can “know” God, otherwise they would be dead since humans are incapable of withstanding perception or experience of God in His entirety. As true as this point may be, it overlooked key distinctions, while the alternate argument Barlaam and Gregory Akindynos put forward contradicted this point in their advocacy of knowledge (following Aristotelian thought), which could only be attained through the prism of rationale and logic. It thus denied the possibility of attaining knowledge through other means such as experience or through the senses, which are other faculties of human discernment. Enter St Gregory Palamas, who observed carefully the arguments of both sides, but noted the flaws of Barlaam’s faction. The flaw noted earlier, was the failure to recognise a key distinction with regards to divine knowledge, in that whatever knowledge we attain of God is the blessing of revelation, that is, what God allows to reveal of Himself to us created beings, for us to participate in. How this revelation occurs is not restricted to any particular means, nor confined to the realm of rationale and logic. Yet this acquired knowledge, which is a gift of grace, is not exhaustive or complete because God is infinite, whereas we as humans are only capable of receiving brief glimpses and revelations of an eternal existence of the supreme Divine Being. It is for this reason, Palamas then reiterates and highlights historical-traditional Christian belief that God is a mystery that cannot be grasped by the mind or experienced in His entirety because we can never have the faculty to perceive God unless we are God ourselves, which of course is an impossibility. Consequently, Palamas points out in one of his treatises, that the Exodus account of when Moses ascends Horeb, that he could only perceive the light emanating from the Burning Bush (and a brief glimpse of what seemed to be the back and shoulder of a person), which forced him to look downwards. Then as the dialogue proceeded between God and Moses, Moses inquired after God’s name, to which he was answered by God with the enigmatic response, “I Am”. The response, initially may have seemed difficult to comprehend or interpret, because it revealed a deep eternal truth that cannot be defined or constricted by the designation of a name. For God to assert “I Am”, is to indicate “I Exist”, “I Live”, “I Function”, irrespective of time or place, not confined by the created universe or the natural world. That He existed before the presence of time or the universe that we know, and yet will continue to exist when all of this that we know ceases to exist or disappears. To ascribe a name would be to try to set parameters around God whose very presence or existence knows no bounds. The so-called names, or more precisely “titles”, that humanity ascribes to God refer specifically to His attributes and His workings within our worldly reality. 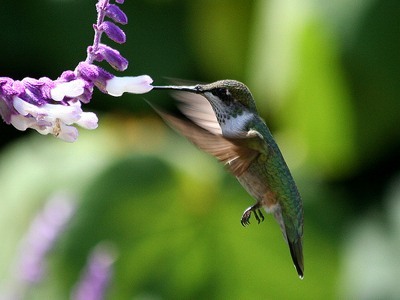 Such titles as the Almighty, the All-Merciful, Creator, Deliverer, Sustainer, Holy Trinity, Son of Man, Emmanuel, Comforter, Lord and so forth, are but a sample of the names and titles that humans have designated to God, based on what God has revealed of Himself and manifested through His actions within the world. As a result, St Paul builds on this revelation of Exodus, when he says in his epistle (Rom. 1:20): “For since the creation of the world His invisible attributes are clearly seen, being understood by the things that are made, even His eternal power and Godhead, so they are without excuse”. To put it into other, but clearer terms, St Paul identifies that there is a distinction between the essence and energies of God. The manifestation, expression or revelation of God’s attributes and presence within this world, are the divine energies at work within our own created reality. Thus we are able to perceive, experience and even come to know something of God through these energies, even though we “are made” (created) as St Paul says. It is from these that we can deduce some sort of perception, even if vague, the sheer power and divinity of God’s being, and the essence which emanates from that identity. Accordingly, St Paul implies that we can know God through the presence and functioning of creation, whether it be a tree, an animal, a mountain, the tidal waves of the sea, the stars and so forth, they all bear the fingerprint of God’s creative endeavour. Yet their fine-tuned functioning within a complex cyclical pattern of life, death or formation, demonstrate that the creative process is not a one-off event, but one that is ongoing and that is sustained by God. For example the collision of tectonic plates and subsequent earthquakes are the means by which mountains are formed, that in turn act as a catchment for all kinds of moisture. From moisture gathered within mountains, rivers are born, which flow down to lowlands and out to sea, thus providing water that sustains plant and animal life. Volcanoes arise from tectonic movement, acting as a release valve for the pressure created by tectonic collisions, yet their eruptions bestow fertility to land or provide useful stones and minerals. Many of the world’s best farmlands for example are the product of volcanic action. Such examplesof“natural”revelations of God’s energies within the world consequentlyremindus of some of the very epithets we ascribe to Him. To which our attention is then brought to meditate upon the immensity and awe that is the infinite mystery of God and His very essence. This of course is possible to be perceived by all peoples of the world. Yet those who strive to follow the ways of God, there is also the “spiritual” or “cosmological” revelation of God’s energies, which help us to come and know God as best we can as finite beings. It is to this that St Paul also implies in his statement to the Romans, to which St Gregory Palamas draws upon, making the clear link with the Christian liturgical life, manual labour and rule of prayer to which the “Hesychasts” adhered to, in order to attain knowledge of God. In this way St Gregory Palamas was able to correct Barlaam’s misunderstanding, by drawing his attention to this particular distinction between God’s essence and internal life which we could never know; while on the other hand experience God’s energies which reveal to our knowledge something of the infinite mystery of God who neither has a beginning nor an end, but eternally exists. St Gregory of course cited many examples within Scripture, particularly events of “Theophanies” to illustrate this point. 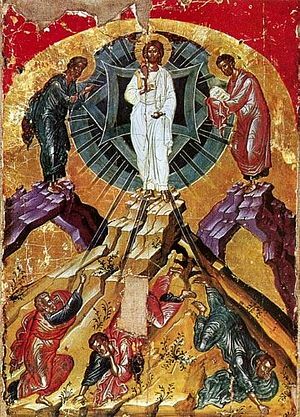 His favourite reference point seemed to be his discussion of the events of the Transfiguration, whereby three of the Disciples, Peter, John and James, were exposed to a foretaste of the divine being of Christ. The divine light that shone forth from Christ, overwhelmed and bombarded the senses of these three Disciples who as a result had to duck down, cover their faces, while try to find some means to shelter themselves from this awesome power which revealed to their senses, a knowledge of God and participation in the infinite mystery of His being. Of course this was to the extent that Christ was willing to manifest to them this mystery, in accordance to their ability to receive such revelational knowledge. It is at this point that St Gregory then provides various analogies to illustrate how one can discern the differences between essence and energies of God. His most famous and well known analogy inspired by various texts of the Pauline epistles, especially the previously mentioned Rom. 1:20 quote, gave rise to his reference to the sun. According to Palamas, this great orb of fire within our cosmos, could not be gazed upon by the human eye for long, nor could a human approach it and survive its sheer power and heat, should they ever have the means to journey to it. Yet, in spite of these limitations that humanity may confront, we are still capable of knowing to the extent of our ability to perceive, the very power and force of the sun through experiencing the radiance of its energies of light and heat that help sustain growth and life upon our planet. The concrete implications of Palamas’ analogy upon human existence, is that the gift of God’s love, that is being born in God’s image, sets us on a life-long journey of faith and discovery towards returning to God and attaining in cooperation with His grace, the fulfillment of being in His likeness. The experiences we attain along this journey help build our knowledge base of who God is and how we best mimic and follow His love and being. These points upon the journey of return towards our divine origins in God, sustain us, but also reveal the direction along the path that we need to follow or return to if we have veered off its course. This knowledge also reveals how far we have progressed or need to progress. However, God does not abandon us to our own devices like orphans without love or protection, seeking to learn without help on how to survive. 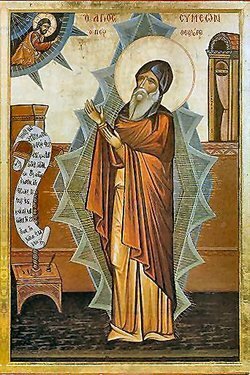 Palamas like Christians before him, and eloquently expressed in greater detail after him by St Nicholas Cabasilas, that the setting and framework for the acquisition of divine knowledge in the journey towards likeness of God, is inevitably the Church and its liturgical life and rites. This “mystagogical” (sacramental and liturgical) approach has its foundations by one being based within a parish, experiencing and interacting with its cycle of life, partaking within the mysteries that it administers and guided by the counsel of its appointed spiritual father. All of this is geared towards each believer in “experiencing” God through His energies, and thus engage into a deeper relationship (personal and communal) with Him along our journey of transformation. In doing this, we carry our cross of ignorance and incompleteness along this journey, so that every obstacle, personal failing, doubt, or misconception, shall be crucified upon it and thus purify us and make us receptive to God’s knowledge. 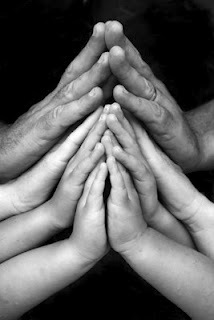 In this way we may witness and experience our own regeneration and renaissance of being and meaning. That is, to go from our own potential (being in the image of God) towards the full realisation and manifestation of that potentiality (becoming by grace in the likeness of God). This approach, which through the physical manifestation of the mysteries, initiates us into an eternal existential mystery, which is a life in and with God. 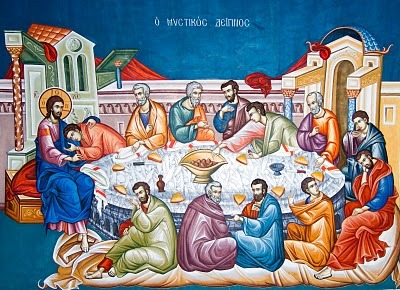 The immense number and variety of mysteries and liturgical services within Orthodoxy have the express purpose of bringing all peoples into communion with God, to be empowered by Him through the energies of His infinite attributes and attain the supreme knowledge of divine wisdom, which St Paul in his first letter to the Corinthians cites, is living in the being of love (agape). Within present-day Orthodox Christianity much premium, as it was in Palamas’ time, is given to monasticism which maintains a strong presence within the Church’s spiritual life. These bulwarks of prayer and grace, even if they are not perfect, exist to allow the faithful to “recharge their spiritual batteries” by offering a very austere setting in which to engage unhindered their journey towards God, utilising the daily cycle of services, confession, fasts and manual labour to cultivate this objective. These centres of spirituality seek to “reenergise” and strengthen the wider Church beyond their own confines by offering to God worship, and engage in dialogue (prayer that is) with Him, while the outer world is too preoccupied in the ongoing struggle for survival. This is the particular strength of the monastic calling and why it features so prominent within Orthodox spirituality, for it has deliberately removed any obstacles preventing the fulfillment of executing the complete cycle of the Church’s liturgical services. Yet we must remember that this mode of faith, has its origins within the communal mode of parish life and thus is a reflection of it. For monks are not “born” as they are, but are first introduced to their vocation via the liturgical life of a parish. 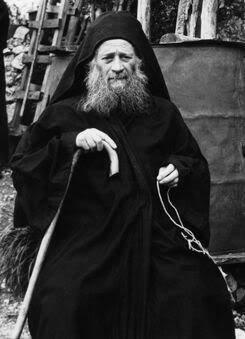 Regretfully in our modern times, in many places, parishes struggle to maintain the complete daily cycles of services and mysteries, or to cultivate parish life and sense of community, thus witnessing the virtual monopolisation of Orthodox spirituality by monasticism, more specifically the “Athonite” tradition of monasticism. However, these trends tend to follow a cyclical pattern, since they follow the changes, demographics, developments and responses of the faithful in every generation towards the call for divine participation. It is to that our blessed father amongst the Saints sought to defend. Something that European Enligtenment philosophers espoused later on in human history. Rites/Sacraments. In Orthodox terminology, our Church does not particularly like the word “sacrament” because it does not convey the full meaning of the rites of the Church. It calls them “mysteries” because they are physical expressions and manifestations which initiate us and make us partakers of eternal truths/realities which are ever present throughout time and indelibly linked to God. These physical manifestations which we call mysteries are closely tied to the liturgical life, and thus the more appropriate terms for the Christian perspective, specifically within Orthodoxy, is mystagogy or the mystagogical approach (Compound of “mystos/mysterion” and “agogeo” – verb for struggle and initiation). We could call the Church’s rites mystagogies as a better alternative than the term sacrament, because it gives the full meaning, context, and understanding of what are the Christian rites. An example would be baptism which is an initiation into becoming a partaker of the eternal life by being physically joined to a life in Christ, which also means in His crucifixion and resurrection. That is why the baptismal font is often characterised as both as a tomb and womb, because our old selves are put to death only to make way for a new life and identity. It is an initiation into eternal life, it is literally being born again, but as the past continuous tense often used within many of the prayers of the service indicate that it is not a one off process, but an ongoing relationship with God, sustained by the Holy Eucharist and confession of sins. Participation in confession and the Eucharist are as one Orthodox writer cites are “born again” experiences that continuously occur as we are journeying along our path of being saved. We cannot say as some Western Christians claim “I am saved” as if it is a definite fact and one off event, because it is a blasphemy against God, for salvation is a mystery only God knows, for we often fall off the path of following Christ through sins, passions and doubts. The need to continuously strive to reconcile ourselves with God and follow His path is ongoing. We can say that we are saved in the sense that we have entered into the journey and are trying to struggle according to the ways of God, and for that God will observe carefully the effort we have made to join our will with His. This may seem as something ridiculous to atheists and secularists, who often assert that a person is running away from the reality of the world, and that we should just accept living in the world. However the truth is that people have developed many forms of retreat to help alleviate the monotony of life and work. There are for example the numerous forms of recreation and entertainment which provide people with diversions like clubs, cafes, pubs, cinemas, theaters etc. If there are serious “personal” problems then there are psychologists, counsellors and even psychiatrists (who prescribes medications) to which one can turn to, of course one has to pay for these services, but the point is, is that the secular world does the same thing but in a different way. What marks out the secular approach is the level of noise and interaction, there is not the emphasis on silence, prayer, contemplation, meditation and manual labour. There might be reference to self-introspection and the challenging of thoughts if one seeks out mental health specialists, and it is this which the monastic life converges with the secular perspective, but their approaches to this effort differ.